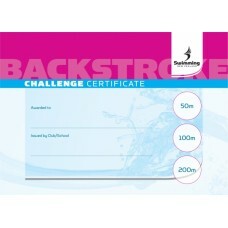 Following on from the skills certificate, swimmers are now challenged to achieve times for the competitive event distances. Gold, Silver and Bronze times have been set for each distance. These are detailed on the back of the certificates.